Today I joined Watershed Stewards Program (WSP) Members from Point Reyes on a smolt trapping adventure in Olema and Redwood Creek! It was a reunion of old friends from my WSP days and a lesson on Coho Salmon lifecycle monitoring. Smolts are juvenile salmonids migrating to the ocean to spend 2 summers growing before returning to freshwater to spawn (and then die). Their complex lifecycles take them thousands of miles from freshwater to oceans and back again. All their traveling make them especially susceptible to threats from habitat destruction and loss. This, and a number of other problems, have made the Central California Coastal Coho an endangered species. 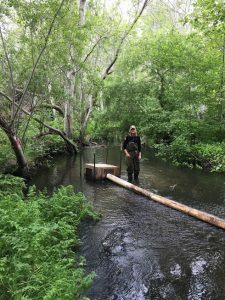 In order to track their population numbers, smolt traps are set up in creeks through the spring. These traps funnel the young fish traveling downstream into a box that gets checked daily. Each fish that gets caught is weighed and measured. 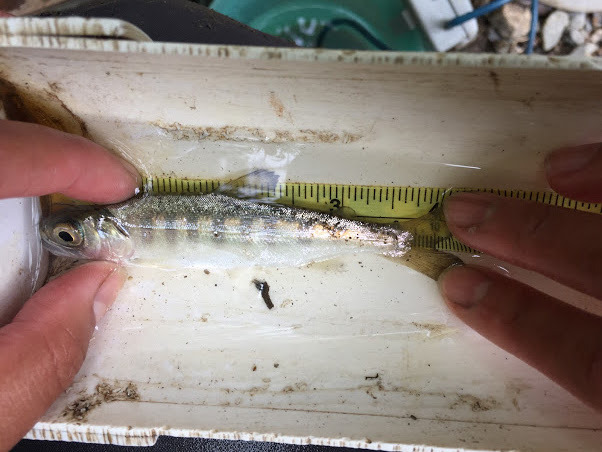 Some Coho smolt that get trapped are also given a Passive Integrated Transponder (PIT) tag that serves as a unique identifier for the entire lifetime of the animal. 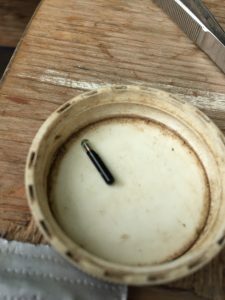 PIT tags work like a scanner at a grocery store; if a tagged fish swims over an antenna reader, the antenna will be able to identify exactly which fish it is for years to come! When the fish are being tagged, a clip of their dorsal fin will also be taken for genetic analysis. 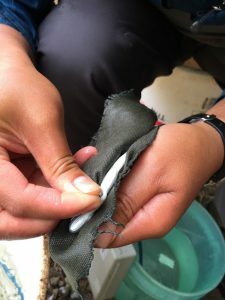 Geneticists can trace the origin of these fish and relay this information to natural resource professionals to help them create a management plan for Central Coast Coho. Currently, efforts are being made to help these fish recover! 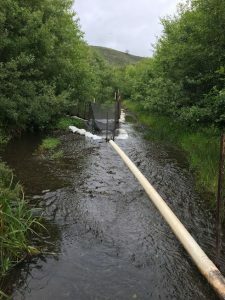 Some Coho are being raised in hatcheries to give their population a head start, migration barriers are being removed (like dams! ), habitat is being restored, and water quality is being improved. Saving these fish from extinction requires cooperation, planning, hard work, a whole lot of dedication. 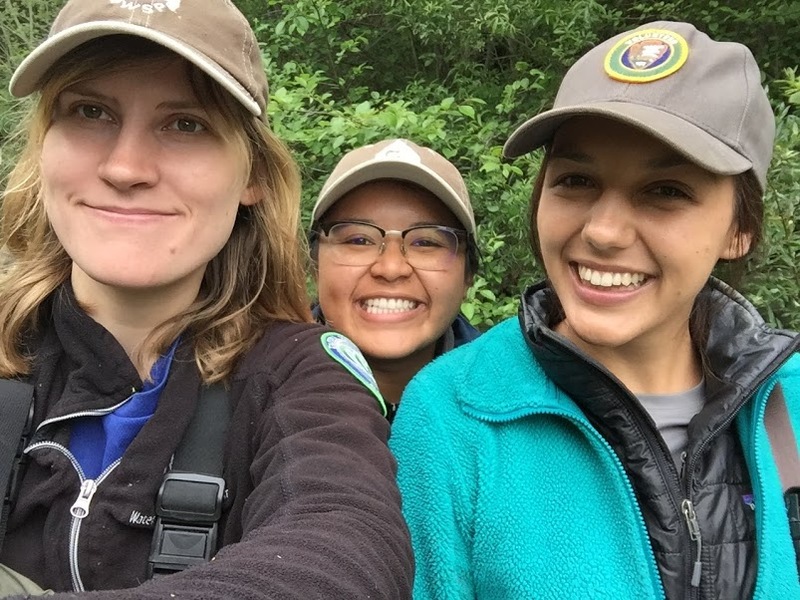 Thank you Priscilla and Adelaide for showing me the ropes and checking the traps for Coho smolt EVERY day this past spring.